John Fawcett was born in 1952 and grew up in Cedar Rapids, Iowa. Although his family lived in town, they kept horses nearby. After his father challenged him to raise half the cost, a ten year old Fawcett became the proud owner of a mare, Copper, purchased for $150.00. In tandem with his passion for horses, was a desire to draw and paint. "I was always really interested in art and my parents were very supportive, but I didn't have any formal art training. All through high school, college and vet school, I did artwork for student newspapers and yearbooks, but I never considered art for a career." Instead, he studied pre-veterinary medicine at the University of New Hampshire and received his doctorate at Iowa State University in 1978. 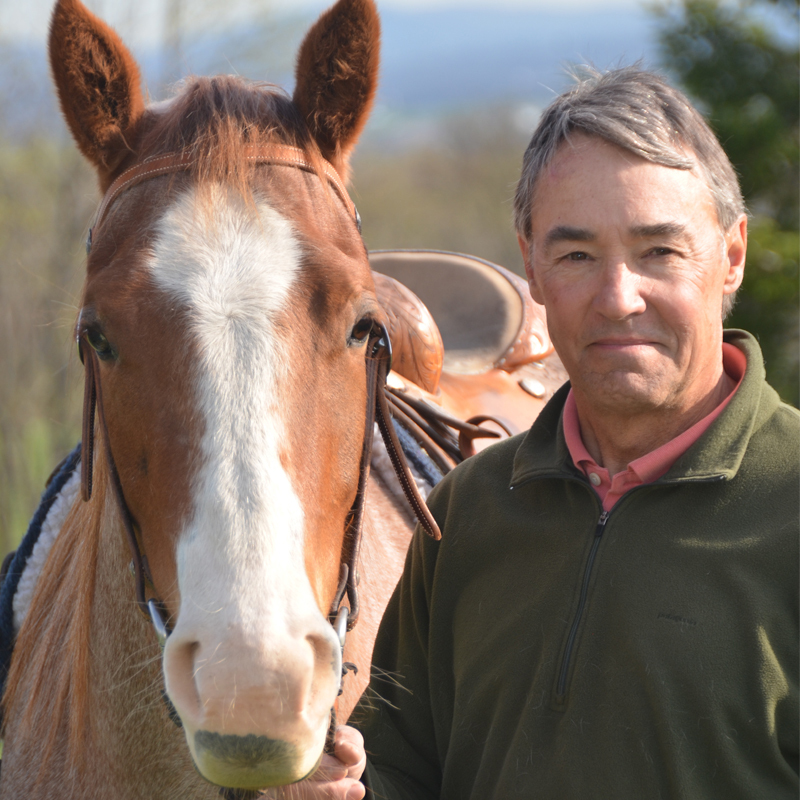 After working for both an equine and small animal veterinarian, he opened up his own veterinary practice in 1980 in Pennsylvania where he practiced for the next 20 years. As his practice grew to a total of 5 veterinarians, his passion for art grew as well, and he sold his practice in 1996 to paint full time and pursue his dream. Fawcett started out painting mainly in watercolor but has introduced oils to his repertoire. "It depends on the subject matter and what medium I feel like painting with at the time. There is a certain softness and fluidness with watercolors, while oils provide rich color and textures and a buttery feeling." Since taking the leap of faith to become an artist, he has been invited to participate in some of the most prestigious Western art shows in the country and has developed relationships with the top galleries. Expressing gratitude for those who have helped his career along the way, including western artist, Jim Bama and Ron Riddick, John also gives several painting workshops a year to help others. He has been featured in Art of the West, Southwest Art, Western Horseman, Cowboys and Indians, The Equine Image, Informart, and US Art magazines. He and his wife Elizabeth, their three Labrador Retrievers, and four Quarter Horses divide their time between a farm in southern Pennsylvania and a ranch in northern Colorado.